The trust has been active on all fronts through the first six months of 2018 including: major U.S. asset sales; the disposition of its 50 per cent share in F1RST Tower in Calgary for Cdn$53.5 million; continued progress on several major U.S. multi-residential developments; and purchasing and cancelling almost three million of its Solstapled units. Those are just the top-line items. Hofstedter told analysts and shareholders on the Aug. 9 Q2 conference call that, although the recent moves will have a temporary “modest” impact on H&R’s funds from operations, over the long term he expects they will enhance both FFO and NAV. “In the second quarter we acted decisively on these objectives by selling very steady but lower-growth properties and investing the proceeds of these sales into acquiring higher-growth properties and advancing and expanding our value-creating and development pipeline,” Hofstedter said. “The transactions we completed in Q2 were both large in dollar value and in their impact on our business. Sale of the U.S. retail properties incurred a net loss of US$13.2 million during the quarter (the REIT reports its financials in both Canadian and U.S. dollars, depending on the location of the assets / transactions). The transaction will also mean a reduction in H&R’s net income and FFO during the rest of 2018, the trust says. In terms of its capital structure, purchasing and cancelling the three million stapled units cost Cdn$61.1 million. 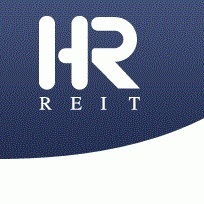 Hofstedter said the REIT intends to collapse the stapled unit structure in the coming weeks. However, much of the focus has been on its portfolios – particularly in retail and residential. The residential purchases reflect the increasing importance of H&R’s growing Lantower Residential platform to its bottom line. Lantower now represents its third-largest segment, and contributed Cdn$17.9M in income during Q2, up 40 per cent year-over-year. H&R closed on two of its purchases, the 305-unit, newly constructed Bullhouse in Durham, N.C., for US$76.3 million, as well as the 322-unit Asturia in Odessa, Fla., for US$57.7 million. The Bullhouse was at 48 per cent occupancy as of June 30, while the Asturia, which was completed in 2017, has reached 92 per cent occupancy. The Asturia is Lantower’s fourth purchase in the Tampa area. Two other U.S. multi-residential properties purchased for Lantower are to close in September. In addition to the purchases, H&R also has a development pipeline valued at about Cdn$1.2 billion, and a significant amount is multi-residential. Its largest current project is a 50 per cent stake in the three-tower Jackson Park development in Long Island, N.Y., which has a “very healthy” leasing average of in excess of 100 signings per month. This 1,871-unit project is nearing completion slightly ahead of schedule, with 435 units occupied as of June 30. Once it is fully occupied, H&R expects Jackson Park to provide US$35.4 million in annual operating income – a 6.1 per cent yield on its budgeted cost of US$580.7 million. Elsewhere, H&R is in varying stages of approval or development with the mixed-use River Landing development in Miami; the 383-unit The Pearl in Austin, Texas; the 1,000-unit Hercules development in San Francisco; and up to 1,000 apartments in Prosper, a suburb of North Dallas. At its retail platform Primaris, COO Pat Sullivan said extensive work is underway to mitigate the impacts of the Sears Canada closures. Primaris is the sole owner of four major shopping centres (Sunridge in Calgary, Dufferin Mall in Toronto, Stone Road Mall in Guelph, Ont., and Orchard Park Shopping Centre in Kelowna, B.C.) and owns interests in 14 other malls. Despite its portfolio occupancy dropping to 82.8 from 90 per cent a year earlier, it produced Cdn$38.5 million in operating revenue. That’s a 1.8 per cent increase, partly attributed to higher rents paid by tenants moving into former Sears and Target stores (which are also being redeveloped) at its properties. Sullivan said Sears stories in its portfolio paid Cdn$2.3 million in annual rents to Primaris, but once its redevelopments are complete he expects the new tenants to be paying up to Cdn$7 million annually. In addition, residential development is possible at each of its four wholly owned malls. One of the most promising is at the Sunridge in north Calgary. “The city has recently completed a master plan for this area and has designated a significant portion of the site to be community high-density, which provides for a maximum building height of 36 metres,” Sullivan said. He added during the past year Primaris has signed new leases or renewals with Sunridge tenants for 275,000 square feet, with a further 30,000 square feet soon to be completed. That’s more than a third of the mall’s leasable space. Sullivan said portions of the former Sears Canada stores are being strategically demolished at several of the sites. “There are two benefits from getting the Sears properties back,” he explained. “One, the prominent locations are helping us drive higher rents from the boxes that we are putting in and the second thing is by demolishing portions of the buildings, we no longer have no-build zones out in front of Sears. Although revenue from Jackson Park and some of these projects is beginning to flow, the bulk of the income isn’t expected to show up on balance sheets until 2019, or even 2020. In the meantime, H&R has significant funds from its recent sales with which to fund either the remaining work on its various developments (if it chooses not to seek outside financing), or make more acquisitions. When asked about H&R’s leverage plans, CFO Larry Froom said the trust is comfortable keeping it between 43 and 47 per cent, the target noted in Hofstedter’s February letter. In conclusion, the CEO reiterated two of the key promises in that letter.